We have written a number of articles on this matter and what a huge relief that finally the PM Najib has heeded to the calls of many. This is the way PM and you finally took your cane out and Masterly Swung it right. Prime Minister Najib Abdul Razak today said senator P Waythamoorthy should toe the government line as the latter is a member of the government. “As a member of the government, you must be toe the line, you must have one voice,” he said curtly during a press conference at his office in Putrajaya. Najib’s statement comes in the wake of three of his cabinet ministers calling for Waythamoorthy’s resignation after the latter released statements questioning police action. Waythamoorthy was handpicked by Najib to be appointed as a Deputy Minister in the Prime Minister’s Department. Malaysian Ministers Outboxing Each Other..?? It does not seem to let up and it would get worse before its under control. Will the Bloggers get involved in this too..? Najib will act soon but it does seem he is giving “ENDLESS POSSIBILITIES” to all of them to air their grievances first. Oh! Please STOP ALL THIS Mr. Prime Minister. It is all happening in Putrajaya in the corridors of power and the “Seniors are taking it out on the Juniors“. It’s a fact and PM Najib is sitting down, watching from the sidelines and keeping a watching brief. Could there be “ENDLESS POSSIBILITIES” in store for everyone? When one episode stops another ‘bickering starts” This time its between Home Minister and Deputy Minister in the Prime Minister’s Office P Waythamoorthy. Will the Bloggers get involved in this too? “On this matter, let none of us sympathise with criminals,” Zahid told a forum in Bandar Sunway today on crime prevention. PM Najib after the first 100 days have now to contain the Seniors from bullying or over reacting to the juniors in his administration. He needs to bring them into his office and like a Principle tell them to behave or ship the ones who cannot stop criticising or misbehaving OUT. The Rakyat pays and voted them in to be administrators for MALAYSIA and not paid to be ‘quarrelling,bickering,misbehaving and unleashing their loose tongues against each other somemore” cabinet ministers or deputies. 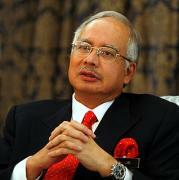 NAJIB WILL SOON BRING OUT THE CANE…WILL HE NOT? Rohani’s or Najib’s Special Advisor Shahrizat..? The media circle is abuzz with news that Sharizat Abdul Jalil, former minister is making a comeback. The Prime Minister when queried on her appointment as his special officer on women’s affairs has kept mum on the subject. One of the mosts obvious reason is that over the past few days there have been too much negativity churned out by “Tourism Ministers Sons” appointment as Special Officer. When will Shahrizat be appointed and sworn in as not only a Special Officer but with Full Ministerial powers? Will Rohani relinquished the Women Ministry for Shahrizat? Is there in the pipeline a structure to re-engineer the Ministry to accomodate Shahrizat? Surely,this will get the opposition all worked up with renewed enthusiasm to smear PM Najib’s administration. On the political plus point Najib would have a new “guard” and “barricade” to avoid all the arrows pointing towards him as many will hound Shahrizat. Even before officially named as special officer on women’s affairs there are “some within”the inner circles in the corridors of power who take pleasure in lambasting openly against Rohani the current Minister. It’s such a shame that these so called “TEAM MEMBERS” are looking down on Sarawak Ministers who have made to the top due to her calibre and being involved in three other ministries before being appointed as Minister of Women,Family and Community Development. The “malicious and disturbing” statements have been echoed out looking down on Sarawak’s Ministers credibility and this has not gone down well with the ones whose names have been implicated. 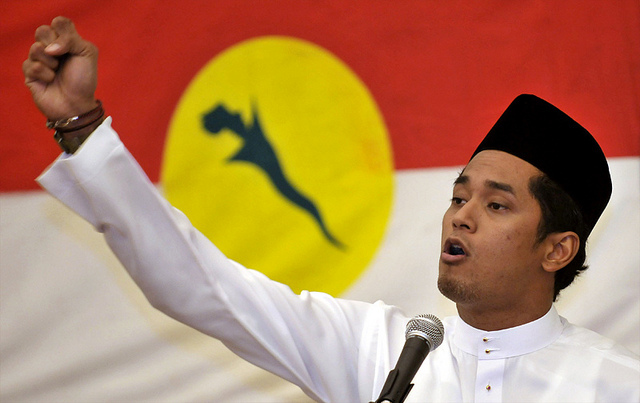 The Malay Mail had reported Nazri as saying that Shahrizat had been appointed to assist Rohani. “Rohani is from Sarawak. Probably her focus of work does not cover many of the peninsula aspects… the ministry is used to the management done by those from the peninsula,” Nazri said. Has this game been played too far, too long and now the “bloggers” are getting very juicy stories that ‘Shahrizat is after all the UMNO Wanita Chief and deserves a place as in charge of Women Affairs instead of a Sarawak Lady Minister? How they want to spin the stories or make up that Rohani is not capable is for them to judge. Could the SPINS/WITCHHUNT also have started from within Sarawak itself? Plain jealousies seems to be the order of the day. Rohani was pushed to the corner and our article “https://audie61.wordpress.com/2012/02/06/pbb-infighting-with-abu-9/ was a testament to what happened prior to GE13. You musts click the above in order to get the whole picture of what is actually brewing underneath Rohani’s shoes. This was what was included too in the article and we extract,’The movement ABR-anyone but rohani is gaining momentum and grassroot leaders in the exco committee are being given “poison juices” to see an end to one of PBB’s loyal servants. It does seem that Najib wants to neutralise Shahrizat in the UMNO elections and the appointment would not come at a better time when Najib knows the vultures are circling ready to take his carcass. 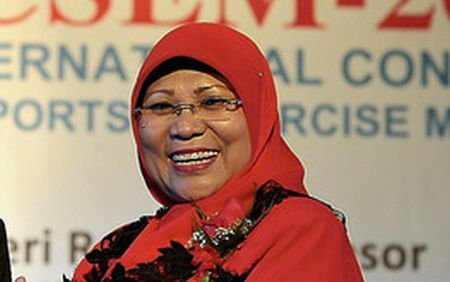 The former Puteri Chief and MP Pengerang Azalina Othman Said has already indicated that she will challenge Shahrizat for the Wanita posts and Shahrizat has said that eventhough the National Feedlot Corporation (NFC) scandal ‘hangs” on her incumbency she says she will defend her posts. Is there an understanding for Sharizat to be appointed as Special Advisor in charge of Women Affairs to assist the Wanita Chief? Without a doubt those in Azalina’s camp plus Rohani’s detractors sensed that Rohani is being downgraded. 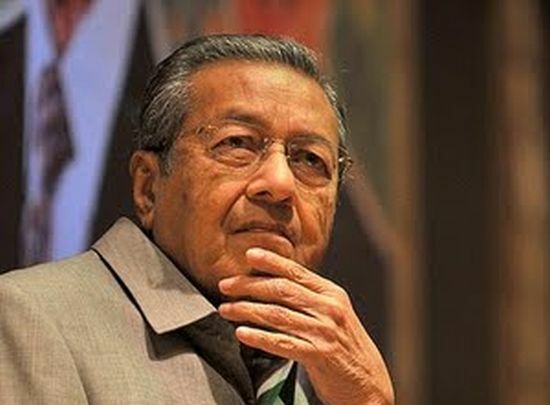 The Minister Rohani will know that whoever PM Najib decides she will abide with the decision and she for one has never failed in her duties as a deputy Minister and now will not fail the PM as a Minister. The positive signs are there for this ministry to move forward and should Sharizat gets the nod to be a special advisor for women affairs it will also go down well with all the staff of the ministry and all aides close to Rohani. PM will be assured that Rohani will let her actions do the talking and she will not let “anyone for that matter” destroy the credibility of the Ministry for their own selfish gains. We covered PBB watching the UMNO elections and its a fact that many will try to earn ‘brownie points” or even “put their heads on the guillotine” as we wrote earlier” the youth elections will be again be the centre of attention as there are nearly more than half over 45′s who are ineligible to be part of the movement. In the worse case scenario Fadillah will have to use his political know-how to stop an all out assault by certain groups trying to wrestle power in the youth wing for their own personal Agenda. He will confide with the President of the Party and seek his wisdom to ensure all parties will be democratically looked and that is by PBB consensus. No matter who tries to create,stir or whipping up a storm especially when its party elections time in PBB it will be quelled before it gets UGLY.